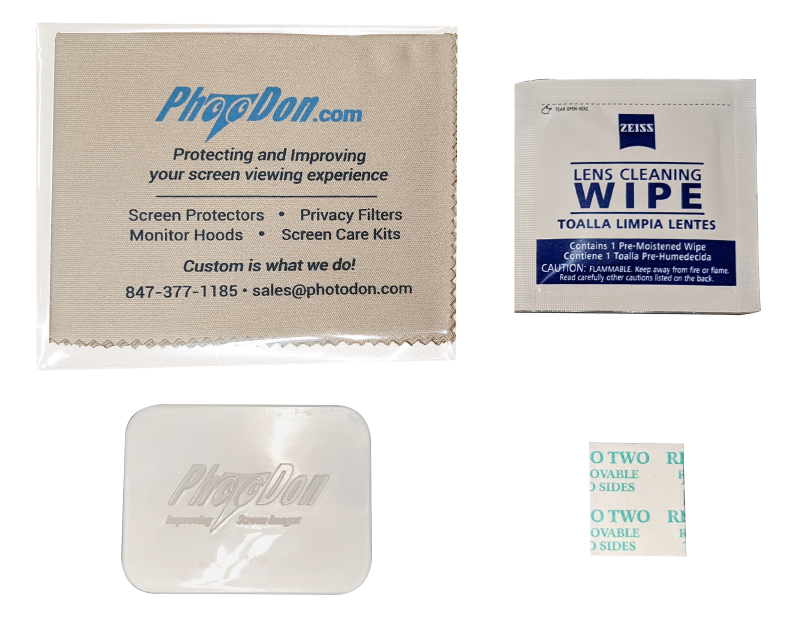 The 425-04-3MF kit is highly recommended for cleaning all electronic device screens as well as eyeglasses, camera lenses and even car windows! Experience the clean, clear and streak free look that you deserve without the worry of scratching or damage due to harsh chemicals. This kit is specially designed for those large monitors and TV screens. 1 - 4 oz. 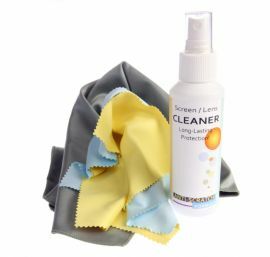 Anti-Scratch cleaner - removes dust and dirt from your screen or lens without harsh chemicals. 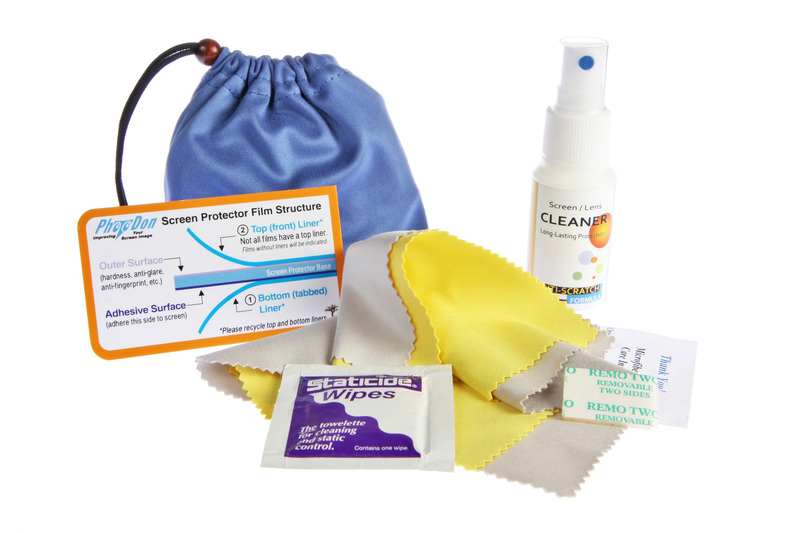 Creates a clear, hard, surface that repels abrasive particles, and bonds to any plastic, poly-carbonate acrylic or eyeglasses. Large Silky Microfiber Cloth – 14 x 14”, lint free, absorbent, machine washable and won’t scratch your devices if cleaned properly. 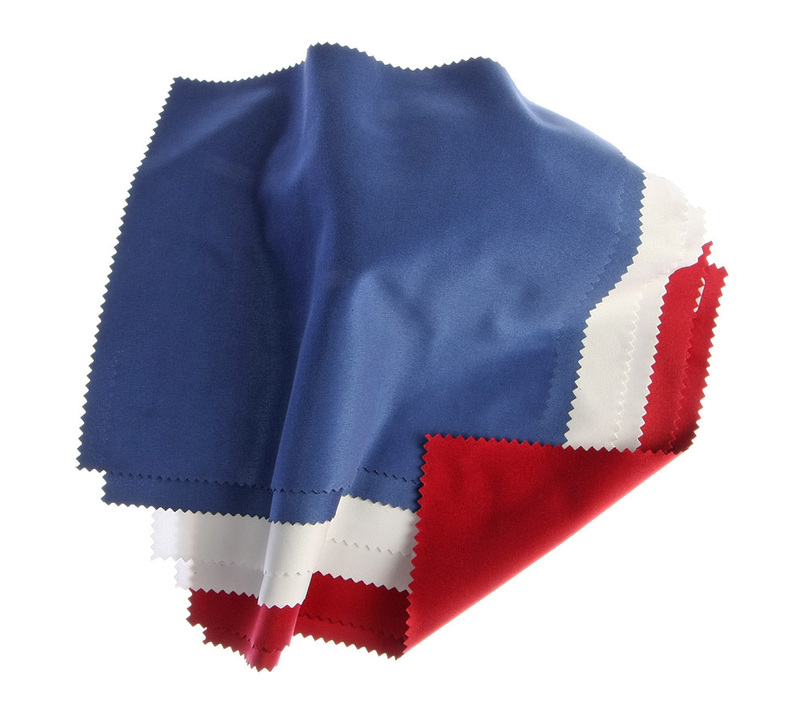 Silky light Microfiber Cloths – lint free, absorbent, machine washable and won’t scratch your devices if cleaned properly.